It’s catalog season! Follow these tips to make sure that come spring, you’re not planting any seeds of doubt. IT IS A long-standing tradition among serious gardeners to sit around the kitchen table during the dark days of winter, hot tea or hot toddy in hand, leafing through seed catalogs and dreaming of the season to come. A few hot toddies later, and you’re likely asleep on the couch after ordering seeds for 42 varieties of carrots. After all, how can you not be swept away by the lyrical descriptions of each crop, and revel in the glorious photos of each perfect specimen? The end result of a midwinter catalog binge is often an overabundance of seed and an unclear expectation of how each variety might fit into your garden plan. • Order Early. Taking action now will ensure that your favorite varieties don’t sell out. The procrastinating gardener will find that, by February or March, many companies have extinguished their stock of popular varieties. Also, the sooner you order after the end of the growing season, the more accurate your recollections of the past season will be. Look back at the performance of this year’s crops, and use that information to guide your variety selection. • Think About Seed Storage. 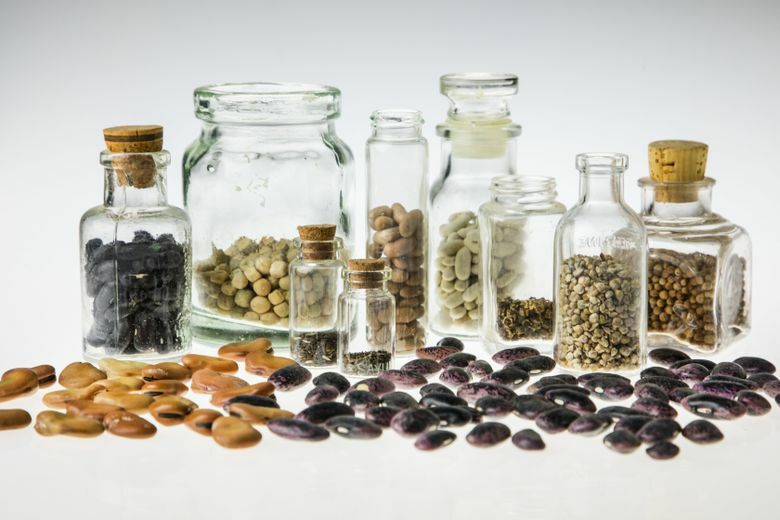 Seed-storage viability varies greatly by species. For example, seeds in the Allium family (onions, leeks, scallions, etc.) will remain viable for only one year under normal storing conditions. This means you should not stock up on leek seed for several seasons, but should order a new batch each spring. However, some seeds can remain viable for five or even 10 years. If you have identified a variety you are particularly fond of, and have confirmed a long storage life, consider purchasing several years’ worth. A backstock of seed will insulate you if seed farms have crop failures or decide to stop production of a variety (it happens!). With a good stock in hand, you’ll be able to ride out a few years of scarcity and have the opportunity to try your hand at seed-saving if necessary or desired. • Plan for Your Variety Assessments. If you’re a connoisseur of a particular crop, you might want to try planting several varieties of the same plant to determine which you like best. The number of varieties you select should be dictated by the size of your garden and your capacity to maintain an organized system to keep them separate. There is nothing more frustrating than planting four broccoli varieties and then reaching the end of the season to realize you prefer one type above all others, but have no idea which is which. If you plan to trial varieties, you might want to order only two or three types per season. Grow them side by side, keep only the best type for the following year, and then compare it with another two or three types. Using this strategy, you can develop a highly personalized seed arsenal in just a few seasons. • Check for Climate Suitability. The Pacific Northwest has a unique climate. Our long, cool growing season makes many seed varieties unsuitable for our region. When selecting heat-loving crops, look for catalog descriptions that specifically mention tolerance of cool temperatures and varieties with shorter growing seasons. Even in a particularly hot summer, our cool nighttime temperatures ensure that heat-loving crops like tomatoes and eggplant grow much more slowly than in other parts of the country. • Look for Pest and Disease Resistance. Many varieties are bred for resistance against specific pests or diseases. One of the most pervasive issues in our region is powdery mildew. This fungus loves the conditions of our summer weather and wreaks havoc on squash, peas, cucumbers and other vulnerable crops. Many seed companies will list crops with powdery-mildew resistance with the acronym PM. Mildew is only one example of the garden threats you might need to plan for, of course, so think about the most problematic scourges in your garden, and keep an eye out for varieties that have been bred with this issue in mind. That’s all there is to it! Now that you’ve made a sober assessment of your seed needs for the coming season, you can put those catalogs away, grab a drink, and get back to staring impatiently out the window and waiting for your daffodils to pop up! Colin McCrate digs plants. Find him at seattleurbanfarmco.com and on Instagram @seattleurbanfarmco. Steve Ringman is a Seattle Times staff photographer.